1. Jasper Medallion Necklace by Tori Tokabari. 2. Ethnic Tribal Bracelet "Tuloma" by Tori Tokabari. 3. Wooden Earrings "Mehendi" by Tori Tokabari. 4. Little Totoro Ring by Tori Tokabari. 5. Ripe Apple Earrings by Tori Tokabari. 6. "My little nest" brooch by akatombo. 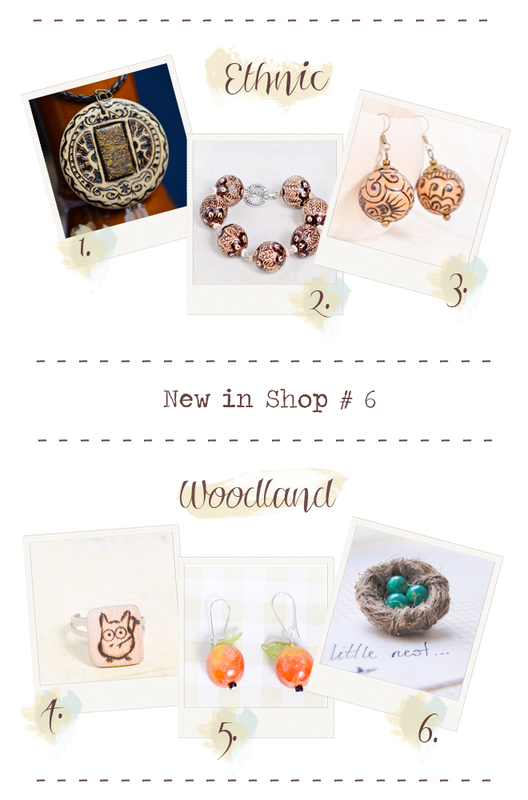 Great new items and I especially like the cute little nest! Beautiful new items!!! I love them! !